The software industry has - for decades - dealt with the whole "best of breed" versus "integrated application suite (ERP)" quagmire, the scenario centered on whether clients are better off trying to manage a whole variety of individual products themselves, via-à-vis having a ready-made integrated suite of applications. These arguments are surprisingly similar to the debates raging in the outsourcing industry today. While a best-of-breed (b-o-b) approach can provide the client added quality (or functionality) and control over its suppliers, the prohibitive cost of managing multiple service providers (or applications), combined with the increased need for unique skillsets to integrate them into the business, favor the multisourcing (integrated-suite) route. And, while many enterprises have persisted with a b-o-b software strategy, both Oracle and SAP have been vacuuming up many of the niche application products, whereby presenting the client with the integrated-suite strategy, whether they initially wanted it or not. While outsourcing providers are generally not as acquisitive as software providers for a number of reasons, their need to add process depth, industry expertise, technology enablement and scale to their global services offerings naturally narrows down the playing field over time, as outsourcing engagements become more global and complex. The crux of the b-o-b versus integrated-suite debate isn't centered on the client receiving the best technology, or the best functionality, it lies in its skills to integrate the applications into the business and create a training ground for its staff to continually optimize the platform to help the company keep costs at a minimum, streamline processes to eliminate efficiencies on an ongoing basis, and operate in a global economy. It's alarmingly similar when we examine clients' outsourcing strategies. While in the ERP world, everything centered on the capabilities of IT to support the business direction with the optimal IT backbone, in the sourcing environment, a similar onus is being placed on all the operational leaders with an optimal global sourcing backbone. While many companies have gone down the path of selecting one "b-o-b" vendor for applications development and maintenance, another for HR BPO, another for F&A BPO, another for procurement BPO etc., an increasing number are now looking to narrow the playing field, realizing that where synergies exist on the vendor side across applications and processes (often termed as "bundling"), deliberately driving breakages between these synergies creates an extra layer of governance to piece these together. And while the client may have more control and contractual leverage over its vendors in these situations, it is often adding increased inefficiency to the overall process, in addition to the incremental cost of having a larger governance team to manage it. Moreover, acquiring and developing those governance skills is a tall order for most companies today. In most sourcing instances, one ITO provider may be more accomplished at application development and maintenance than the BPO provider providing the corresponding business processes, or vice-versa. However, if one provider can demonstrate its application staff will be working in tandem with its business process design and operation delivery team in an organized and orchestrated knowledge transfer process, then the odds are the client will be better off deploying that single provider for a bundled engagement. As the ERP experience taught us, it's often not the quality of the individual components that deliver the ultimate business value, but more the synergies and integration points between those components. In outsourcing, those integration points are delivered by a combination of people, technology and processes, so why should a client separate these out in instances where these integration points will be made less efficient and harder to manage? Very good observations on this topic. In this age of do-it-yourself-sourcing, many Corproate Procurement professionals seem strongly inclined towards the "horizontal" slicing of the world into pieces and parts. Sadly, many organizations are poorly equipped to manage this matrix of internal/external providers of discrete services, certainly not in a fashion that achieves integrity to the satisfaction of business users. As you observe, the "vertical" orientation that unifies technology and operations around a business process may yield greater long-term value, but is more complex to put under contract. And, to state the obvious, there are fewer of these sorts of relationships that will be churned through the procurement machine. Peter - you highlight the challenges well - especially the procurement road-block. Where I see some success in bundling, is where firms are already well-schooled in managing an outsourced application environment, and want to explore bundling elements of BPO into the mix. Much of the drive is coming from a vendor "push" as opposed to client "pull" strategy, where several of the leading incumbent IT-BPO firms are mining their existing clients to expand their relationships. In several of the cases I have seen, separate SLAs are drawn up for the BPO elements within a bundled deal, but that doesn't preclude operations staff working together on the vendor side to optimize process workflow. However, it is normally down the the skill of the governance team to make this happen effectively. Perhaps some of the leading advisors can help draw up some contract templates to help firms with these bundled opportunities? All of the points you both raise are valid, but let me add a couple. A lot of my clients intuitively understand the benefit of having both applications and business processes they support under one roof, but often that would require inter-departmental collaboration, and the politics involved are often enough to kill the deal before it even gets past a twinkle in someone's (usually a progressive middle manager) eye. I think there are as more barriers to integrated solutions in the exec suite than in procurement (which often justifies its existence/headcount with volume) and provider ability to deliver. While true that a larger contract, even if done in two phases as Phil suggests, would yield greater leverage, that's only until it is signed and transitioned, at which point the "negative leverage" of switching costs is compounded. A huge advantage of integrated sourcing solutions is the accountability--one vendor cannot point to the other when something goes wrong. Many relationship managers I know would happily pay extra just for that! good question. I think GM/EDS story is a good example of why it makes sense to diversify outsourcing [of all kinds] across multiple outsourcing service providers. Though one have to be prepared to manage whole bunch of extra complexities related to multi-vendor coordination of services. I go by the old saying" Never put all your eggs in one basket"
At my previous organization, we called this bundling the integrated technology and process solution approach. It is not often that you come across a company that is both adept at technology as well as business processes thereby making the decision to go with one vendor a rather tricky one. However, if the prospective vendor understands the business issues/challenges and demonstrates that its team is built of techno-functional experts and not seperate teams of technology experts and BPO experts, then it would be wise to go with a single vendor. When a vendor has seperate team of experts then the bundled solution may work well, but not well enough as somewhere one of the two [either technology or BPO] will result in some amount of inefficiency as you rightly pointed out. The reason I cited my previous organization as an example is because the approach was to provide a bundled service and not individual services in technology or BPO unless requested specifically for by the customer therefore resulting in the solution design and implementation of highly integrated bundled services. From a buyer perspective, bundled services executed by a vendor that is tech-functional savvy would probably work wonders for fast growing small and medium enterprises who are trying to compete with the big guys in their industry who by virtue of their size are not as nimble. In the last couple of years, one has been seeing the operations executive and technology executive coming together and the emergence of a Head of Technology and Operations in banks. The responsibility of Head of Technology and Operations includes managing the entire back end of the company which includes technology, operations and call centre activities. That gives the person the opportunity to step back and look at processes end-to-end and the elements that go into delivering customer experience — IT component, Operations component and our Service capabilities. In the past, the companies had an operations team, technology team and business architects, each working on a piece of the project and handing over to another. Now, for each project, we see companies put together a team from all of these disciplines. So there are no more hand-offs. People look at things in a more holistic way, which has helped bring about solutions that have really been thought out from every aspect. Companies are now looking at service partners contributing to business model innovation, product innovation, distribution innovation, in addition to process and technological innovation. Your client scenario is quite typical of what some forward-thinking firms are beginning to do with their delivery strategies - namely merge IT and operations into the same delivery model. And sourcing needs to go this way. I have been debating the whole "eggs in one basket" issue for years - and yes, in some areas, is doesn't add a lot of benefit to put too much under a single provider. For example, there is little reason to have the same vendor managing both your infrastructure AND applications AND BPO, if the economics do not work. However, my argument here is about bundling the application with its related business processes. yes, it's challenging to do it right, and procurment / internal politics can make it unfeasible in many companies, but there are several major engagements where firms are now moving down this bundled path, which I will be writing about in the future. Hi Phill, I don't agree that working with a single service provider for bundled services could be risky. If you manage to build a trusted relation with a vendor who exactly understands your business values,vision,organizational structure and your business process architecture than there's no reason to experiment with other players. This scenario could be very fruitful if you find such supplier and would definitely reduce overall management costs as well as the hidden costs of conflict resolution and communication between vendors. I hope my 2cents count! Thanks for the input. Let's be clear that bundling apps and processes (or other services) only works where the provider has its act together. Your comment: "understands your business values, vision, organizational structure and your business process architecture" sums it up well. In the past, there simply was a lack of vendors which could demonstrate synergies between delivery staff actoss service towers, so there wasn't a good case for bundling, as you'd end up managing two providers anyway, with fewer contractual controls. However, some vendors (and I emphasize the word "some") are much better positioned - and have the broader delivery depth - to take on bundled work. 1) Whether you look at outsourcing as a tactical OR a strategic business tool. If outsourcing is to be a tactical tool used for cost-saving OR resource-augmentation alone, then YES having multiple vendors (even multiple competing vendors providing the same functions such as IT) would make sense. However, if you consider outsourcing as more of a strategic business tool, then you will have to manage your outsourcing initiatives with the same strategic management (enterprise integration) approach as you would do it internally. In doing so, you will have to share your holistic business model with at-least one core strategic outsourcing vendor, and align and plan your outsourcing initiatives accordingly. This will strengthen your relationship with this strategic vendor and will convert it into a ‘MUST-WIN’ situation for the vendor as much as for yourself. 2) Your outsourcing decisions would be an extension of the level of cross-functional integration that you have in-house. If you have largely disintegrated internal functions (IT, HR, Finance etc.) operating in their respective silos with each having their own private agenda valued more than the overall corporate agenda – same would reflect in your outsourcing decisions – with each functional department having their “favorite” outsourcing vendor hired with a mandate to further strengthen and fortify (disintegrate) their silo. This can result in exposing your disintegration publicly in the market – giving your competitors much greater chances to fail you as a company. Not to mention the additional governance overheads in trying to align everyone both internal and external together, and the actual business-case to go for outsourcing in the first place would wane out. If you’re a more integrated organization, the same would reflect in your decision, whereby the organization as a whole would choose the strategic outsourcing vendor to take forward your corporate objectives. I don’t mean that you won’t still be in a need for tactical outsourcing vendors off and on due to specialization requirements or occasional workload spill-overs. What you propose does seem very interesting, and it helps the supplier too with the body of process knowledge spread between their IT teams & BPO teams. I can see that it could make sense for buyers too to have it done this way. Over the long term, managing both areas does give the supplier the opportunity to suggest process improvement ideas that will start with a process pain point & end with an application enhancement. Outsourcing IT and BP to the same vendor is indeed a viable business proposition as long as the selection of the vendor is done right and a perfect working relationship between the vendor and the supplier is established. Often a vendor to be successful in meeting his client expectations needs to provide services that are reliable, predictable, sustainable, scalable and ofcourse controllable. In both medium size and large size deals and especially in a total outsourcing type of deals, often achievement of SLAs and ensuring subscription to Key Performance Indicators are often a partnered responsibility while the vendor takes the onus of service delivery. We are seeing organizations sign multi-year deals (upwards of US$2 to 4 MM per annum) with multiple vendors (multisourcing) and more often than not the demand for innovative pricing in such multi-year deals is never limited to FTE based pricing. How will a vendor protect the client from inflationary price escalations year on year? How will the vendor guarantee savings (read “price reduction”) in succesive years of service despite cost increases for the vendor (Productivity gain is one element only)? etc. With the economic situations in the global marketplace the way it is now, price has again become a main factor while considering outsourcing along with an innovative services packaging modle of business engagement. A company that can provide both IT and business process services to a client will more likely offer better price considerations as a “bundled deal”. But then…can every company that has both IT and BPO servicelines do this? Well… at least the idea is catching on and there are many companies out there that are talking about “integrated IT-BPO” service offerings and some I know are actually delivering it. 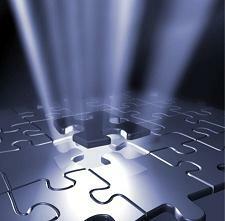 IT-BPO integrated deals have characteristics of their own. Clients would most likely consider signing a contract for both IT and business process services with a single vendor only after a period of successful engagement with that vendor. Often it is IT solutions outsourcing followed by the business process outsourcing to that vendor. Rarely it would be the other way round. The type of integrated deal signed with this third party vendor would more often than not be managing / delivering the process that this vendor has automated himself or at least maintained the applications continuously over many months. The reason is that since this vendor has developed the solution or maintained and supported the application will understand the business process best and in many cases the knowledge on this process is more at the vendor teams than with the client himself due to prolonged interactions and client losing business users and business owners during this time. I strongly believe that the BPO services that will be outsourced will mostly be transactional in nature and hence tied to the technical solution developed and maintained. Graduating from this to other processes is only a matter of time and the ability of the vendor to deliver. Consolidation in vendor sourcing, innovation in outsourcing strategy and of course the very structuring of the deals driven by changing market dynamics are all happening and happening in ways that were not even thought of a decade ago. We are get there and that real fast! Bundling is an ideal situation as it significantly reduces the multi-vendor management overhead. However, the reality is that there are very few providers who can demonstrate a track record in this kind of integrated work. The trends, off-late, have been contratry to this approach - clients are looking to diversify the vendor base (not a very wide base, but definitely not to just 1 vendor) to draw from individual expertise, minimize risks of excessive dependence on a signle vendor and optimise costs (specialization enables lower costs due to economies of scale, specific expertise and process efficiencies). There are quite a few companies which are reducing their vendor base - to a few strategic providers - but rarely to a single partner. One of the best examples of this move was the GM 2006 3GO contract where GM moved from a single vendor to a multi-vendor environment - where the vendors collaborated among themselves to bring cost and productivity benefits to GM - I have read that this has been a successful and efficient model for the client. I think definetly this is the direction ahead. Call it ITO+BPO or BTO or whatever. Firms that can really demonstrate this will get a clear lead in a field where differentiation is a challenge and clients seek more innovation and continuing improvements from their providers. Having said that there are various nuances to this. Some degree of best of breed in parts of the business may be desirable to retain. Also, depend on the type of business process/processes under discussion. Further, it may not be the right path for every client (various - experiences in managing outsourcing relationships, internal issues - operational or market specific, risk management etc. etc. ); so client maturity is a factor in this. I think this will depend a lot on the relationship the client has with the outsourcing provider. Some existing relationships could mature to this direction? There is synergy that can be achieved... just the way Offshore Outsourcing industry merged Technical and Functional Roles in ERP Support to create Techno-Functional Consultants and eliminated cost. However, OPS and IT have different Heads typically, CIO, CFO, COO want to run their operations separately. Skills required in these jobs are also different. If intention is not to achieve synergy, these can be kept with different Providers. If intention is otherwise, its better to be with single provider. if they expect you to provide the application but they will not own the supporting application it will be difficult for the provider to obtain big optimizations. Savings will be only possible in the HR or real state area, but no in the main process outsourced. if they provide their own tools to manage your processes or buy the existing application and maintain it, they will be able to provide bigger savings. Summarizing: the application is part of the process. You need a provider with apps knowledge to improve the application and business knowledge to improve the process.